Jwell BTC R SS AIR Atomizer head Jwell Jwell BTC R SS (Stainless Steel) AIR Ohms : 0.5 / 1.0 / 1.6 Ohm Pin: Gold plated Finishing: Stainless steel & Fiber Freaks Airflow : XL Price is for one piece. .. Aspire Triton Mini Coil 1.8 ohms Clapton coils (Rated for 13–16 watts). With a kanthal base wire and a kanthal wrap these coils provide more surface area compared to standard coil designs. This results in greater vapor production which gives a not.. Aspire Triton Mini Tank kit Aspire proudly presents our all new Triton Mini tank system. This tank brings you adjustable airflow control that will allow the user to really dial in on their desired airflow setting. The Triton Mini can be easily dis..
Vaporesso cCell Coil The Vaporesso Kanthal Replacement Coils are the perfect solution for all those cloud chasers who are also fond of chasing pure and classy flavor. The truest of Ceramic coils comes out as revolutionary heating element with uni..
Joyetech MG RTA Head MG RTA Head, features an rebuildable structure and pre-wrapped NotchCoilTM, with which you can easily customize the ULTIMO atomizer. Rebuild Coil With Ease The MG RTA base greatly simplified the process of rebuilding coi..
Joyetech MG QCS 0.25ohm Head The MG QCS 0.25ohm Head, featuring Quick Change System, allows you to change the cotton quickly with ease. The NotchCoilTM inside especially offers you great flavor. 100% Pure Cotton - Convenient to Replace and Clea..
Jwell Odeon V2 atomizer Looking for more taste? With the conception of the bell, the restitution of flavour is increased and the tasting session makes a whole lot more sense. The new system of solid plot (?) in stainless steel along with the centr..
Joyetech MG Clapton 0.5ohm head MG Clapton 0.5ohm coil provides more surface area which offers more contact with the e-Liquid and a better cloud and flavor in general. 100% Pure Cotton - Convenient to Replace and Clean The MG Clapton 0.5ohm ..
Joyetech MG Ceramic-0.5ohm head MG Ceramic 0.5ohm head applies the innovative Ceramic material with long-lasting lifespan brings you great pure flavor ever. Spiting and leakage can be avoided. It can be used under high temperature condition, provi..
Joyetech Ultimo Atomizer Kit ULTIMO atomizer adopts new top filling system and improved adjustable airflow control. New MG series heads with novel designs especially provide great vaping experience, including which the innovative MG Ceramic-0.5ohm..
GeekVape Tsunami 24 Atomizer The GeekVape Tsunami 24 RDA is the dripper you have been waiting for. The Tsunami 24 RDA features a Velocity style rebuildable deck with an adjustable Kennedy style airflow perfect for the rebuilding enthusiast. Fea..
Wotofo Serpent Mini Atomizer Wotofo SERPENT Mini RTA is a beautiful mini RTA. It is convenient to carry, easy top filling, dual insulated drip tip to minimize heat transfer, extremely easy to build deck, replaceable Glass chamber, and adjustable p..
Vaporesso Target Pro Atomizer Kit Easy to use, powerful, and effective tank for any mod The Target Pro vape tank treads the line between ease-of-use, tank capacity, customisability, and compatibility perfectly. It’s Vaporesso’s ‘all rounder.’ ..
E-Herb Coil for Dry Herb Replacement coil for Dry Herb for E-Herb kit 2600mAh ..
Jwell Atlas V2 Atomizer Black Edition The stylish and high technology ATLAS was designed for all 510 standard MODs, and specifically lines up with SWORD, the first J WELL MOD. 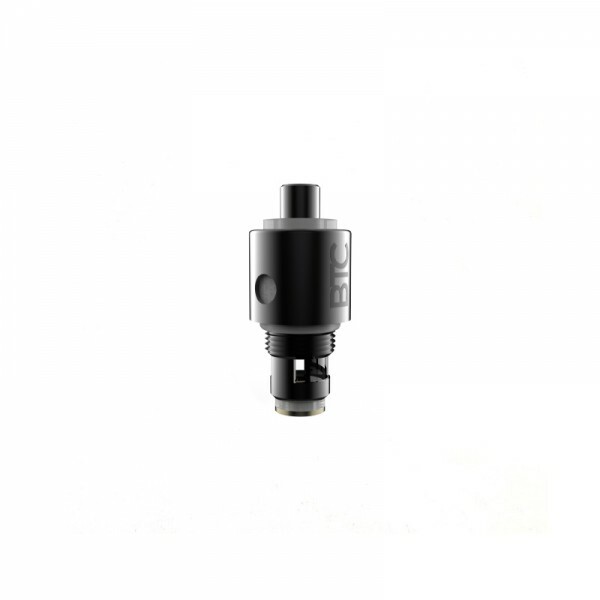 It guarantees a high level of performance thanks to its WMAX XL or W..
Joyetech Cubis Pro Atomizer CUBIS Pro, adopts innovative and leak resistant cup design, whose coil replacement and juice fill can be achieved by removing this top section from the cup. Airflow controls is also contained within the removable top ta..
Joyetech eGo ONE Mega V2 Atomizer eGo ONE Mega V2 Atomizer, coming with a large transparent window, brings you the new CL head with pure cotton, with which you'll totally enjoy yourself. In addition, there are multiple colors for you to choose cat..
Cuboid Mini Atomizer Cuboid Mini Atomizer, adopts the new oblong shape for the first time, which can perfectly match the Cuboid Mini. With the innovative leak resistance cup design, coil replacement and juice filling can be achieved by removing th..
Joyetech eGo ONE V2 Atomizer eGo ONE V2 kit comes with new CL atomizer head: Pure Cotton CL 1.0ohm head which can produce a totally pure flavor. Parameters: Size: 19.00mm*36.00mm Capacity: 2ml Color: Silver, Black, White, Re..
BF Clapton-1.5ohm The newly added NotchCoiTM 0.25ohm DL. (Direct Lung) head which made of stainless coil, can last longer and can be used under high wattage condition. It will surely bring you great vaping experience ever. Configuration H..
BCC Dual Coil Head for iJust Atomizer. Long lasting vaping with the absolute smoking feeling! Dual Coil Size: H:25mm & Ф:8.5mm Resistance: 1.6 & 1.8Ω ..
GS Air Cotton Coil Resistance 1.5ohm & 0.75ohm. ..
eCig BCC CT Clearomizer 510 Introducing the new Dual Coil eCig BCC CT Clearomizer 510 thread. The new design & integrity of mouthpiece & tube presents BCC-CT unique style. BDC atomizer head delivers the functionality with product appearanc..